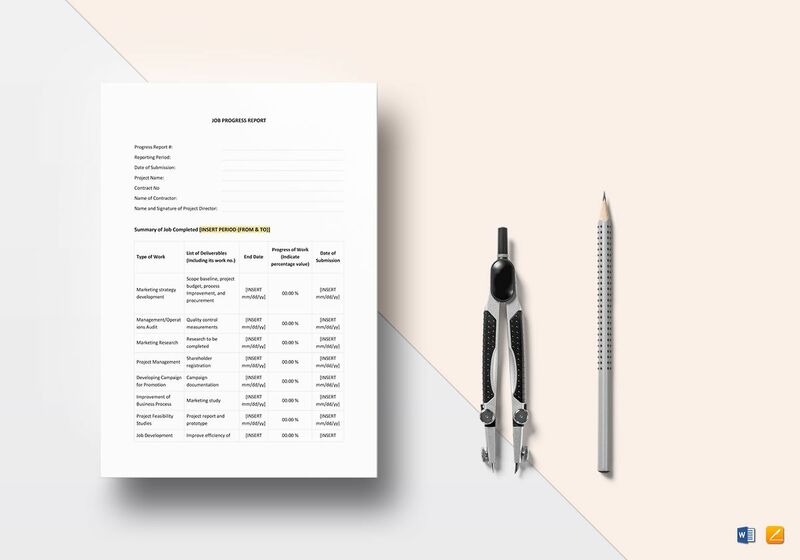 Present updates for a project using this Job Progress Report Template in A4 and US letter sizes. 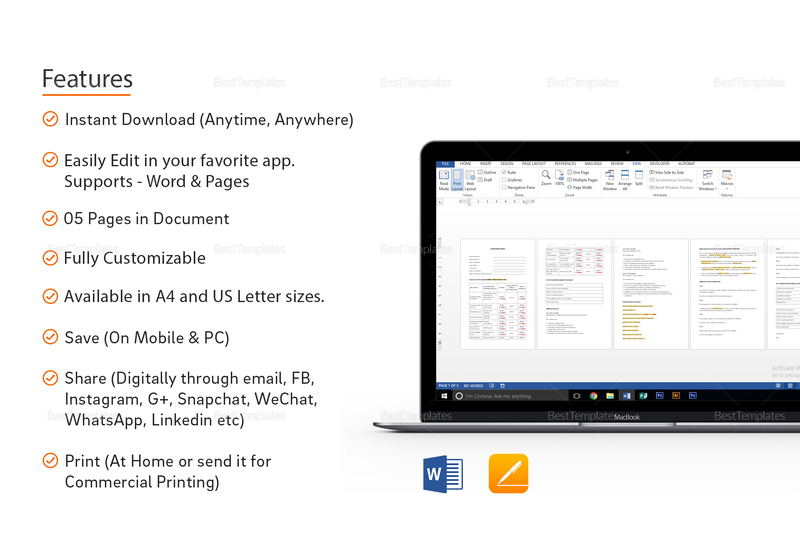 Instantly download this 5-page document anytime, anywhere, and edit with MS Word or Pages application. 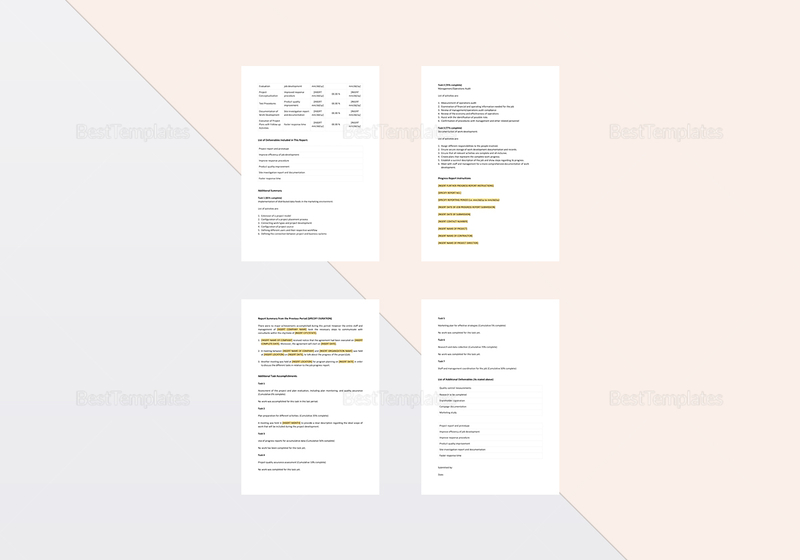 Replace the highlighted sections in the template with your information and you are done. Print at the comfort of your own home or digitally share via email and your other social media accounts.